Not Verified | The staff was very rude to me. I am an Elderly Handicap person who has a heart defect and a deteriorating bone condition. The staff forgot me and two other elderly handicap passengers who were flying internationally to Houston. They caused an extra 10 hour delay. Your staff made me get up and walk. I was out of breath, my heart was racing, and i couldn’t keep up and the lady that was responsible for escorting us didn’t even care. The worst part is they didn’t provide any kind of food or water for us while we waited for the next flight. It was your staff fault that the three of us missed our flight. How in the world do you forget about three handicap passengers? Absolutely horrible customer service. Never seen anything like it. "Hours spent queueing for customs"
✅ Trip Verified | One of the most unorganised airports I’ve ever encountered. 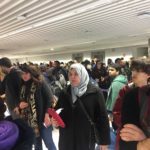 Hours spent queueing for customs, security and train tickets. Add in defending your spot in the queue because they have no queueing system, just lining up down the arrivals hall. Total chaos. And treated like cattle by staff. Won’t be flying to Paris again anytime soon! "tried to explain the rules"
✅ Trip Verified | My bags were checked by security lady who doesn’t understand english with a rude way. I was travelling with baby and she has already knew it but throw my breastfeeding milk (only 1 bottle). First she wants throw with the bottle to but i asked to throw only the milk. She told to throw outside which means i have to get long queue again. I looked the garbage bin was beside her and she didnt allowed me to throw there. I tried to explain the rules that i can bring it to the plane and she doesn’t understand at all. "no maintenance being carried out"
✅ Trip Verified | I use the easyjet to UK terminal every 5 days, having done so for the last 2 years. As we have a internet age and we all need access for various reasons. 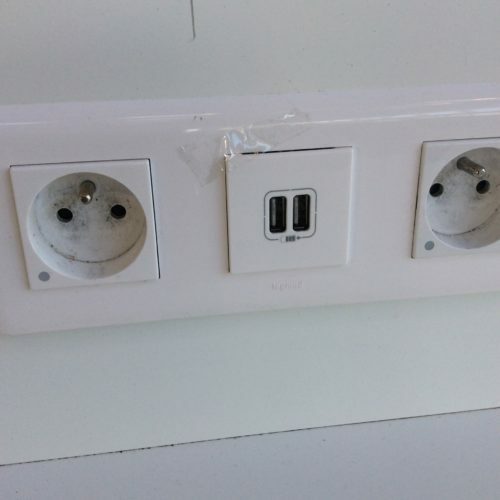 One would expect a reasonable level of serviceable power receptacles and usb sockets to be available at one of the biggest airports in Europe. This is not the case here at gate D67 for example, has a desk with power and sockets. Hours service as they say in France nothing works sockets held together with tape! Most people just see this shortfall on very view visits, I have seen this getting worse each week for months. There seems to be no maintenance being carried out ? So if your unfortunate enough to be coming here bring a back up power supply for your phone,pc etc. Or you may be without contact. The WiFi is okay if you have power to get it. ✅ Trip Verified | Upon asking for information regarding my boarding pass, 2 ladies standing before the counter on Gate L42 at the morning were unwilling to help. After directing me to someone else, out of pure laziness, both talk to each other in French and comment, amongst laughs, how stupid my question is, not even realizing I can understand and talk French as well. Very disrespectful and angering! 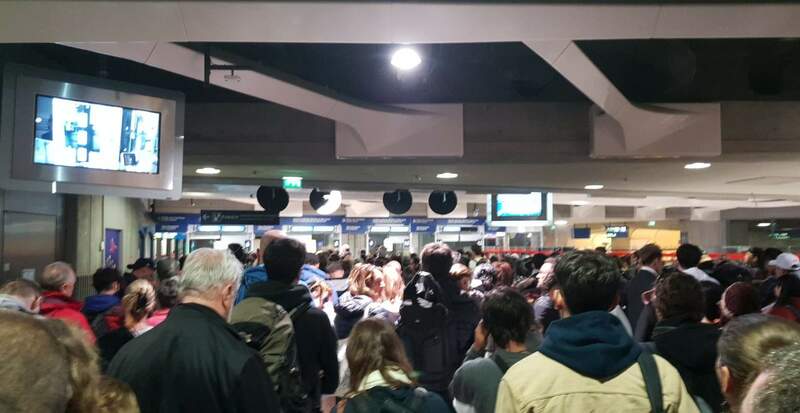 "no information about the disruption"
Not Verified | Touched down at around 22h30 and was caught by surprise that there was a rail maintenance work going on thus no train from all the three CDG terminals. 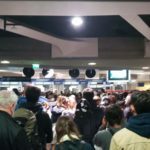 There was no information about the disruption of RER except a simple announcement, no staff from the airport nor from sncf that direct people where to go and what to do. This is the worst airport I have ever been. In fact this is the second time I bumped into such situation. It is a shame and I seriously cannot understand how they can be so bad! 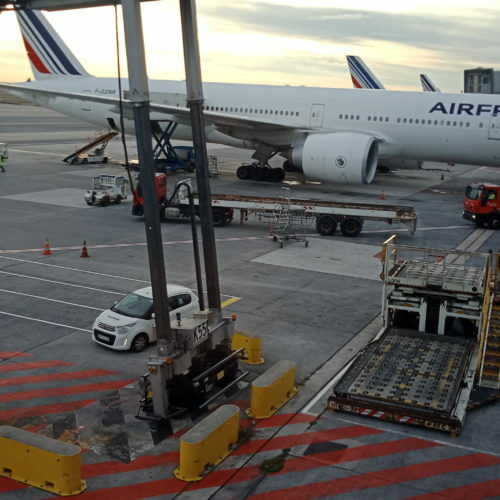 ✅ Trip Verified | I booked a flight from Bangalore to Germany, Stuttgart via Paris. While changing the gates and passing the security to come to Gate 2G, I and all the other passing passengers had to put up with a very impolite security woman who screamed at everyone very impatient. One passenger had only 15 min. till the gate closed and she she screamed at him : "Are you the king or what?" I wondered if it's normal that passengers would be treated like that, unfriendly, impatient, inhumane and even insulting. But the most other French people at the airport were friendly. Though this behavior seems to be accepted. Otherwise it's a clean and nice airport. The sighns are not always clear, like always at airports, especially to change the gates from one to another flight. "barely reached our gate on time"
✅ Trip Verified | It was a terrible experience with at least 3 hours of queues, an unheard of experience that makes you think twice about traveling to Paris. You must have a serious operational problem which is prevalent and beyond stressful and frustrating. We barely reached our gate on time, no time for a toilet not to mention our the shops were empty which is an obvious outcome of how everybody has no time to even consider. Very frustrating experience. 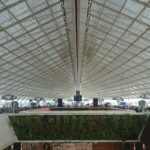 CDG is getting worse every year with no real fixes for the very obvious problem. 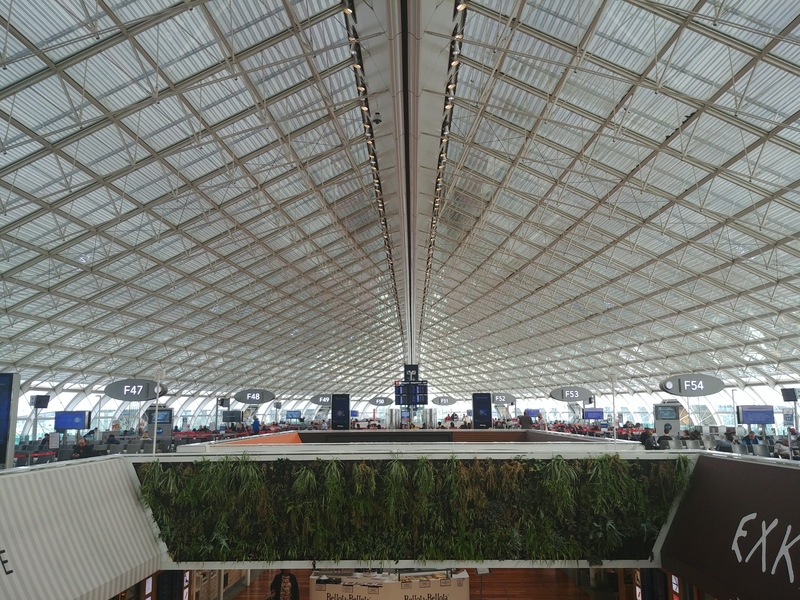 "smell is impossible to escape from"
Not Verified | Having previously had terrible experiences at CDG I now usually pay extra to avoid flying via Paris (Amsterdam is usually ~50£ more with a longer wait but it’s worth it). On this occasion I thought I would give CDG another chance, which obviously was a mistake. Many others have talked about confusing signage, expensive cafes, lack of restaurants and sockets but the worst part of the airport experience has to be the intense smell of smoke wherever you go. I felt as nauseated this time as I did on my last visit - it’s unbelievable that this is still an issue years after the smoking ban. The smell is impossible to escape from. Please sort it out and make this airport an option again. 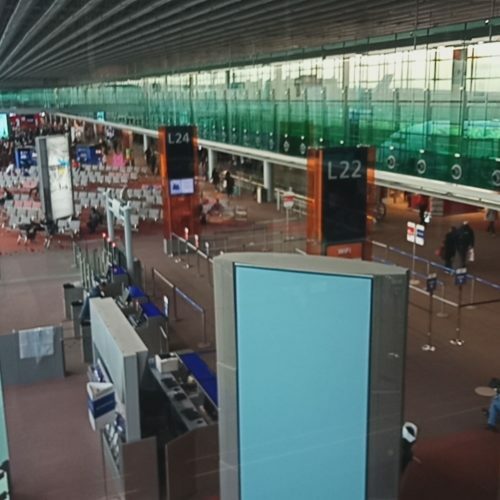 Not Verified | I have never visited Paris so far, but have already transitted eight times at Paris CDG Airport. 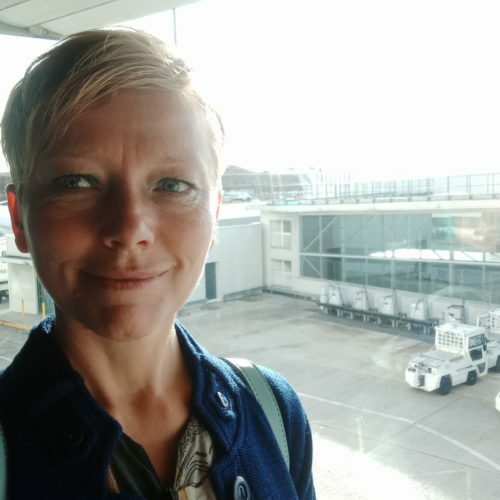 Usually the transit times were very short and I spent all my time running to the gate, but this time I had more than four hours of transit time before my 13 hour flight to Singapore. I had not eaten much the whole day as I thought I would have plenty of restaurants to choose from at one of Europe's largest airports. My Terminal was 2E L and that was quite a large building. So I expected a huge variety of restaurants there - including some fast food or pizza restaurants. However there were only three or four restaurants and most of the food they offered was cold. They served salads and cold sandwiches, but no hot meals that you could get at virtually any train station. I met several people who had the same problem. They had already walked through the whole building, but had not found anything. Building 2E L is just one of several buildings of the huge Terminal 2 and on the map you can see that most of those buildings are connected. 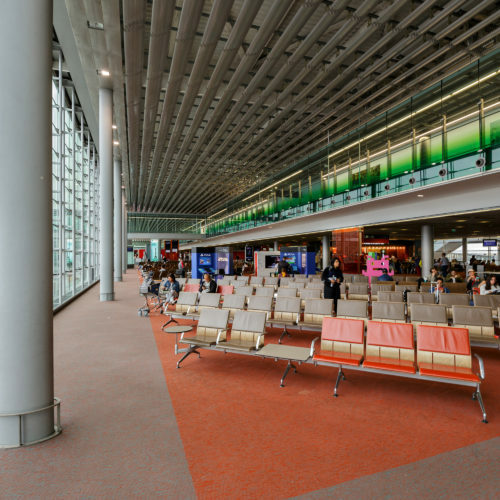 However when I walked to Terminal 2F to look for more restaurants, I was told that I could only access the transit area of Terminal 2F with a valid ticket of a flight departing from that terminal. The security guy told me that my only option to find a restaurant was leaving the transit area and going to the public area of Terminal 2K for example, which had many more restaurants. So in this huge airport people are stuck in the transit area with no real food options unless they switch to the public area and afterwards go through the security check again. After returning from Singapore I had to transit in Paris again. Although I did not leave the transit area at all, I had to go through security check again although I only had things on me that had already been checked in Singapore. I know that this is not the fault of the airport, but it is something to consider when choosing a transit airport. 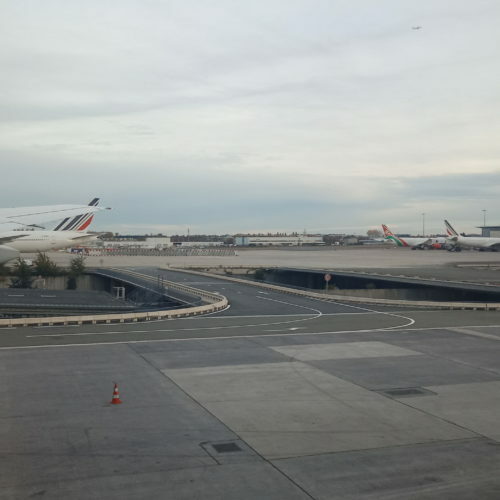 After once having missed a plane to Miami because of a long security check in the transit area of Heathrow Airport, I try to avoid airports like that when possible.